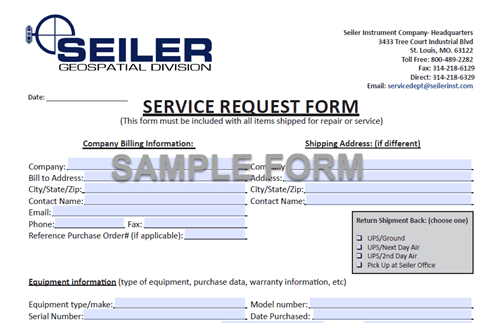 Click on the attached image or here to complete your service request. Save this form to your desktop. Go to our Contact Us form – click on Service Repair and submit online to our Service Department. Please contact the Service Department with any toll free 877-330-6303.